Technology has revolutionized the game of chess for good – but is it for the better? The game of chess has come a long way since its invention more than 1500 years ago. During that span, new technological advancements changed the way the game was played more than a few times. 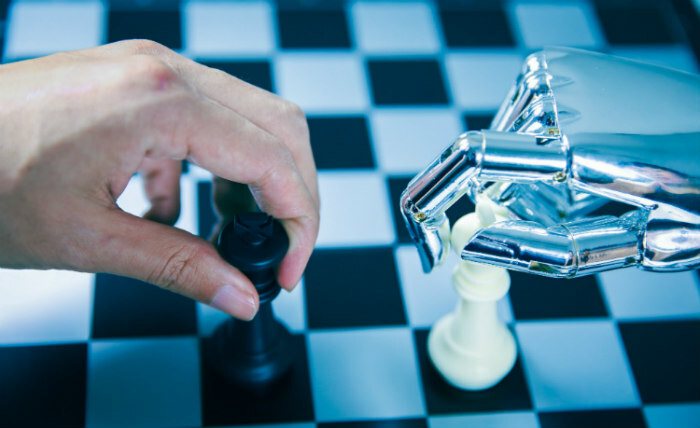 From the Mechanical Turk to Deep Blue, technology has transformed the world of chess from a popular local game to an international sensation. This article will take a closer look at how exactly this transformation came about. It would be ill advised to talk about the role of technology in chess without mentioning the famous Mechanical Turk device. 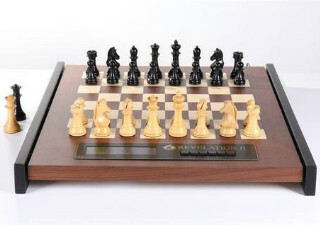 If you haven’t heard of it, it was essentially a machine that was marketed as a chess board that could play itself. A device like this would be the precursor to the modern chess computer, and at the time of its invention in 1770, quite a feat of engineering! Of course, the mechanical turk turned out to be a gigantic hoax. It wasn’t an autonomous chess playing device at all- rather, it contained a hidden compartment where a grand master could hide and control the Turk using a complicated systems of levers and magnets. Though it wasn’t actually a miraculously early precursor to chess computing, it was still a marvelous, sophisticated machine. It’s no wonder that people were fooled by it for nearly 100 years! The inside of the machine featured a number of different compartments and doors that could be opened to expose a complicated series of machinery. It also had a sliding seat for the operator. When the seat was slid into different positions, fake cogs and gears would slide into place to conceal the grand master and give the public something impressive to look at. This sliding design allowed the machine to be completely opened up to the curious public one compartment at a time while the operator slid just out of sight each time. The mechanism by which the game was played was also quite remarkable. 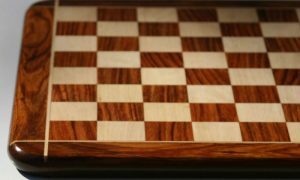 To begin, magnets were attached to strings on the inside of the device, and strong magnets were embedded in the pieces in play on the topside of the chessboard. This meant that the magnets on strings would be lifted into place once the pieces were set onto the board, and they would move along with the pieces so that the operator could always tell what the position was. Additionally, the interior magnets were placed in such a way as to be impervious to outside magnetic force, apart from that of the pieces. Because of this, the presenter was able to have games played with a powerful magnet sitting on top of the cabinet in order to demonstrate to the watching public that the machine was not powered by magnetism. But being able to see the position of the pieces was only half the battle. The operator also needs to be able to make moves of his own. To make the Turk move, the operator would move a pantograph-style series of levers that all worked together to control the model’s left arm. The position of the lever would be displayed to the operator by a synchronized metal pointer that moved across the interior chess board. Turning the lever would open and close the hand, allowing the operator to pick up and move the pieces across the board. This was all accomplished by the light of a single candle in the cramped interior of the machine. One of the more recent developments in chess technology has been the invention of educational computer programs dedicated to teaching chess. These programs are capable of not only passing on strategic information, but also providing a hands on learning experience for students through various game simulations. 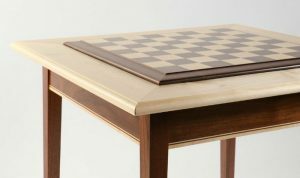 Computer technology has advanced so quickly that even a general purpose home computer is capable of running software that can walk students through hundreds and thousands of simulations, each one targeting different chess problems and possibilities. There is now chess software available for learners of all levels, from beginner to advanced. Beginner chess programs walk you through the basics of the game, teaching you how each piece moves and introducing the most common starting positions and end game moves. You can find intermediate chess software that teaches general strategies, as well as all manner of specialized software if you’re particularly interested in one style of play. For a long time, the most advanced players have prefered to train with human coaches and sharpen their skills against other players at or near their same level. 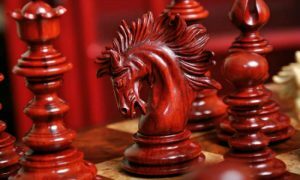 However, in the last couple of years, a new breed of grand masters have started to take advantage of the computing power at their fingertips and incorporate powerful analytical chess software into their training. American GM Sam Shankland, for example, was able to reap the benefits of these powerful analytics in his match against Gadir Guseinov in the Qatar Masters Open. When Guseinov got himself into a familiar position, Shankland was able to recall the position from his research and make moves that had been previously computer generated. These moves were unpredictable for Guseinov, and led to a victory for Shankland. Chess computers and chess software have gotten more and more similar in recent years in terms of what they each can do. But this wasn’t always the case. When the first high level chess computers were being invented, there was a frenzy of excitement surrounding them. It was truly a cultural phenomenon. 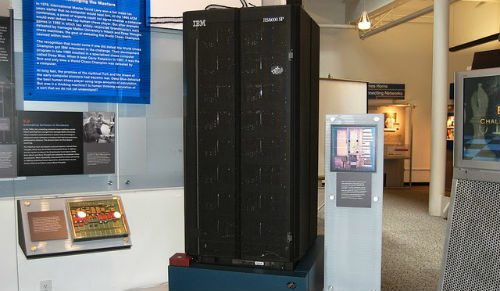 When IBM’s Deep Blue challenged world chess champion Garry Kasparov, people were astonished to see how far the technology had come, even though the computer eventually lost the match. People were astonished to see how far the technology had come. The rematch the following year, however, was an entirely different story. This time, the newly improved Deep Blue computer was updated with more cutting edge chess software and it actually managed to score a win on Kasparov! This was a momentous event and marked the first time that a reigning chess champion had ever been defeated by a computer under tournament conditions. Spectators were understandably astonished. This was a pivotal moment in chess history that they had witnessed, one where the tides had turned right in front of their eyes. Ever since that moment, chess computers have only improved in their chess skill as they become equipped with more and more powerful processors that can analyze billions of possible moves in mere fractions of a second. At this point, computers have far outstripped the skill of any human player. Luckily for us, the game still continues to be played and enjoyed by human players much the same as always. Some naysayers thought that the defeat of Kasparov by Deep Blue would spell the end for tournament chess competition and human enjoyment of chess, period. Fortunately that hasn’t turned out to be the case so far. 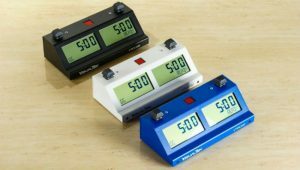 Recently, a new type of chess product has been popping up in chess shops all over. 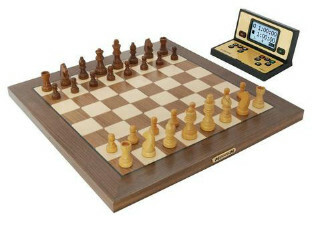 The electronic chess board is a handy tool for anyone who is looking to improve their chess skills, or just enjoy computer based chess games with the comfort and ease of a physical chess set. 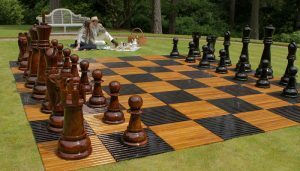 There are a few main advantages that the digital chess board offers over the traditional style. First of all, it allows you to play online chess with faraway friends or chess loving strangers on a familiar chess set rather than a computer. 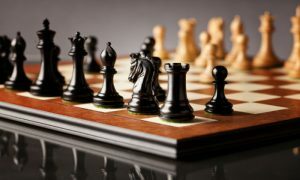 This same functionality also allows you to play against chess software or simulations of famous games in a similar fashion. Another advantage of the digital chess board is its ability to save every move of your games for later analysis. If you’d rather not look through all of that data yourself, many digital chess boards also have a built in analysis tool that will automatically analyze your games and give feedback. 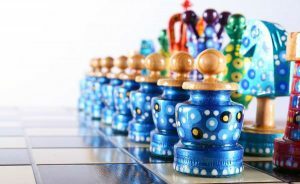 This is a great way to build skills quickly, since you’re learning something from each and every match that you play on your digital chessboard. Finally, digital chess boards have a definite cool factor. It’s really neat to play on a bluetooth enabled surface that can sense each piece’s movement, record that movement, and analyze it automatically. That alone is enough for some people to invest in these slices of cutting edge chess technology. 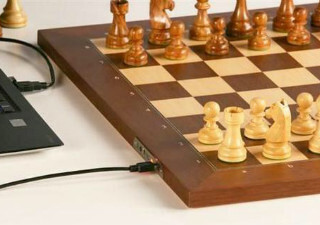 Technology has certainly changed the game of chess in more than a few ways. Some of them were natural progressions while others seemed to come out of the blue and shock onlookers. 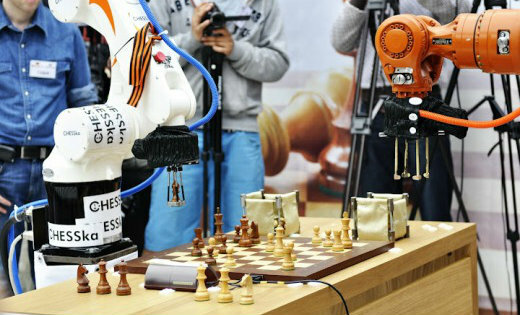 Because of this unpredictability, it’s hard to imagine what the future of chess might look like. Star Trek has made a guess about future chess being played on a Three Dimensional Board, but no one really knows for sure what changes it will undergo in the next 10, 50, or 100 years. All that can be said for certain is that humanity will still be enjoying the game of chess in whatever form it takes. The game has been popular since ancient times and has persisted in that popularity throughout all subsequent periods of human history, so it’s not likely to fall out of favor anytime soon!